Is Ecuador really a new land of the free? There are many benefits gained by living in Ecuador, but Ecuador Living brings freedom beyond just being in a good place. You may be surprised to find that Ecuador (well actually the Andes) is the home of a lifestyle of such power that when you live it, wherever you are, you can be free. 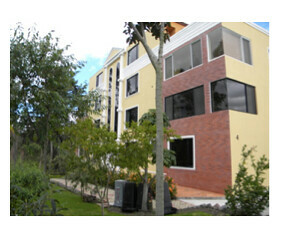 You gain the power to live free anywhere with Ecuador Living. Ecuador Living integrates Western lifestyles with wisdom and secrets that have sustained Quichua communities of South America for centuries. The Andean knowledge of life (called Yachay) has such power that despite being conquered first by the Inca and later by the Spanish, the Quichua remain the largest indigenous peoples in the Americas today. Even though the Spanish conquerors destroyed most of their recorded history (kept in colored knots called quipu) Aymara-Quechua, the Quichua language is the most widely spoken of all indigenous languages in South America. Spanish conquerors killed millions with smallpox and in other ways and forbade by law their shamanic ceremonies. Today the ceremonies can be performed publicly. Quichua students are allowed to wear their dress in schools that otherwise required Western uniforms. Quichua holidays are treated as public holidays. Quichua law overrides national Ecuadorian law in many Quichua communities. Part of a national program to lower infant and maternal mortality in Ecuador is a public hospital that provides a ward that blends indigenous birthing practices with modern medicine. Indigenous midwives uses gravity as an invisible midwife in indigenous birthing rituals. In Ecuador the Quichua dominate dozens of local governments. They control significant blocks in Congress. One reason Ecuador’s president gained office is his ability to speak Quichua. He has maintained his position in part by funneling enormous amounts of money into projects that help indigenous communities. How is this for freedom? Despite centuries of oppression, Ecuador’s Constitution now recognizes the right of indigenous peoples. Indigenous jurisdiction and community rules override national law in many instances. In the province of Imbabura for example municipal authorities upheld indigenous action in the community of La Rincanada. A group of non-Indigenous people, who were there to purchase property arrived with police escorts. The prospective buyers were held overnight by the Indigenous community. The police, had their guns and uniforms removed and they were given a ritual bath treatment before being allowed to leave. 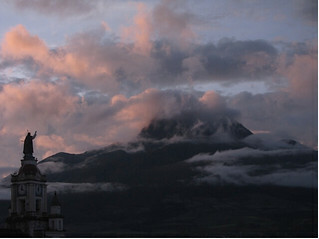 Imbabura Province is the center of indigenous spiritualism. This is where the Taita Yatchak we lived and worked with for years asked us to go as we progressed on our journey to freedom. Yet the Quichua were conquered by the Incas. Then the Incas were conquered by the Spanish. These societies lived too much in their hearts. They lacked the logical knowledge to create technologies of war that could defeat the Spanish. There is a a 500 year year old Andean prophesy that “the Condor of the South would fly in the Skies together with the Eagle of the North”. The prophesy means that people of the north, live too much in their minds. The people of the equator live too much in their hearts. When we learn to live with our hearts and our minds, we restore nature’s equilibrium. Ecuador Living combine 46 years of global investing and business experience with knowledge from Ecuadorian Quichua yatchaks to help you invest and earn more successfully as you improve your health, eliminate stress and enjoy greater peace of mind. 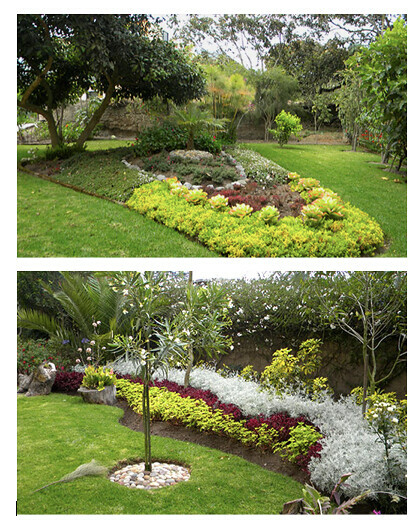 Learn more about Ecuador Living here. 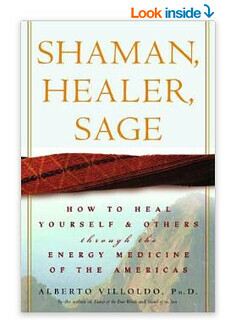 One good book one the freedom of health you can gain from shamanic wisdom is “Shaman, Healer, Sage by Alberto Viloldo PhD. 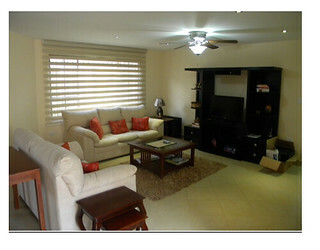 The living room has a large entertainment center with a 32 inch Sony TV and Smart DVD player. Also included are top of the line stainless steel General Electric six burner stove with double oven and a Panasonic Inverter refrigerator with bottom freezer. Security bars and screens have been installed for additional protection. 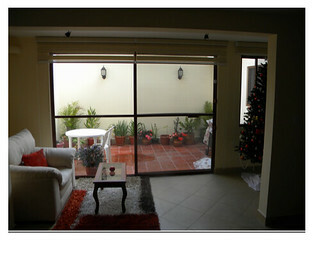 Wonderful screened patio off the living room with many plants and a gas BBQ grill. The master bedroom has a walk-through closet/bathroom with many built in drawers and storage shelves and a Frigidaire stacked washer/dryer. Selling complete with all linens, dishes, silverware and pots and pans. Price $129,900. 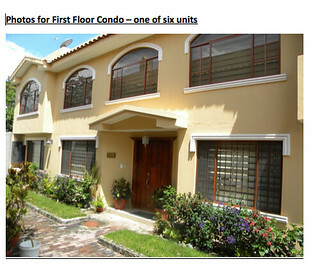 A fabulous 3rd floor Primavera II Condominium. Located only a half block from downtown. 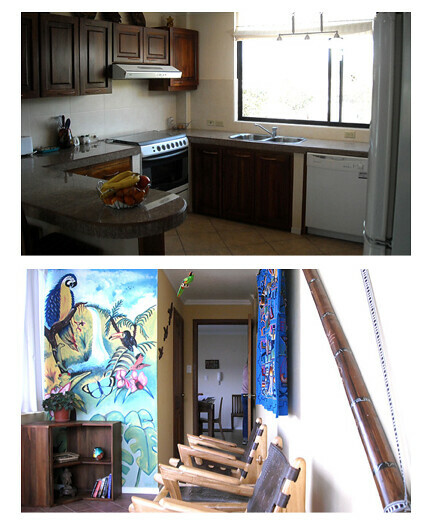 Has two bedrooms and two full baths, one with a Jacuzzi and the other a large shower. 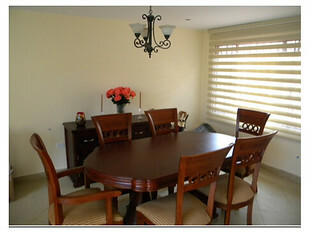 Wonderful sun room with custom window seat and beautiful views of both volcanoes. 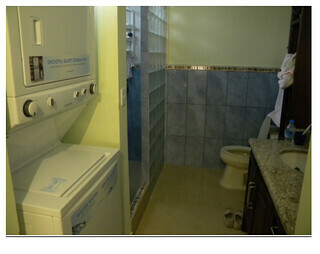 Many upgrades including additional kitchen cabinets and pantry, dishwasher, washer/dryer and garbage disposer. 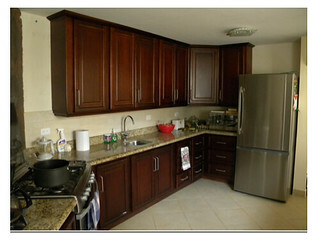 Comes fully equipped, all linens, silverware, dishes and pots and pans. Just bring your suitcase and move in. 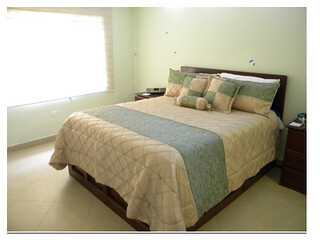 More Photos for first floor condo – One of Six Units $129,000. Click on images to enlarge. 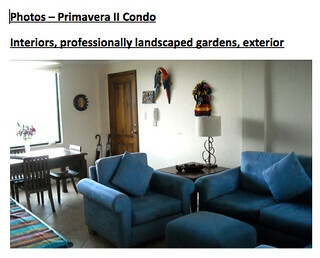 More Photos for Primavera II third floor condo – One of Six Units $99,000. Going to Cotacachi? 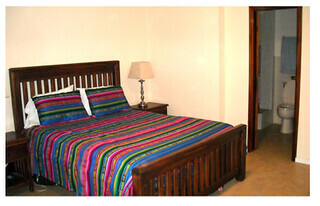 The Inn Land of the Sun in Cotacachi gives a 20% discount on room rates to Ecuador Living Club members.